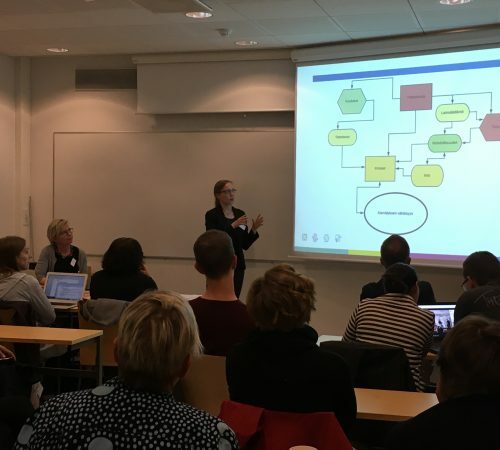 The Finnish national multiplier event took place at the University of Tampere on June 5th. 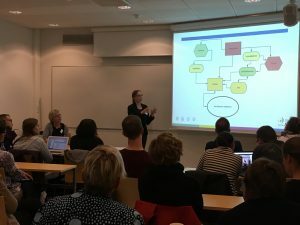 The event attracted altogether 56 participants, including science teachers and principals from all educational levels, curriculum developers and other representatives of Finnish educational administration. The programme consisted of three presentations and two workshops with group discussions. 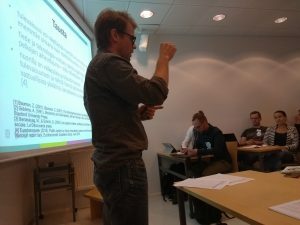 I SEE researchers Antti Laherto and Elina Palmgren from the University of Helsinki, together with Johanna Jauhiainen from the partnering school Helsinki Normal Lyceum, presented the ideas of futurising STEM education and introduced the I SEE modules on Climate change and Quantum computing. In the workshops, the participants discussed how is the future currently addressed in science education, what needs there are to improve the situation, and how could the I SEE approach and materials be used to that end. The discussion was vivid, and the teachers found the presented ideas interesting and the topic important. 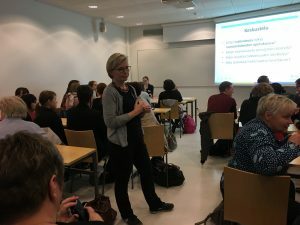 The Finnish I SEE team received plenty of feedback and ideas on how to facilitate the inclusion of I SEE activities in school science. The participants valued the I SEE approach to teaching systemic thinking, for example the attacker/defender game.